What a special home! 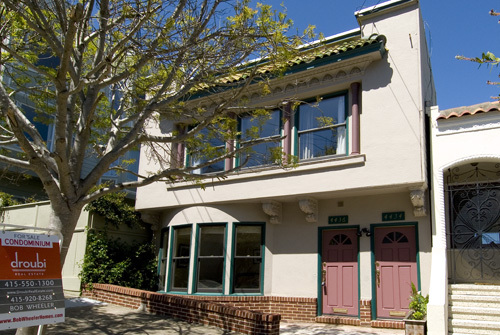 This charming top floor condo is located in the heart of Noe Valley. The unit has recently been remodeled with a new kitchen and bathroom. The floor plan includes two large bedrooms, an open and airy living/dining room, an office nook, and a sophisticated kitchen. From the living area, there are breathtaking views of the hills surrounding Noe Valley. There is a large storage unit deeded to this property and in-unit laundry. There is also a lovely shared garden. The building has new plumbing, heating, and electrical systems. On-street parking is very easy as this is a neighborhood of primarily single family home with garages. This home is just a short walk to the shops and restaurants of 24th Street.